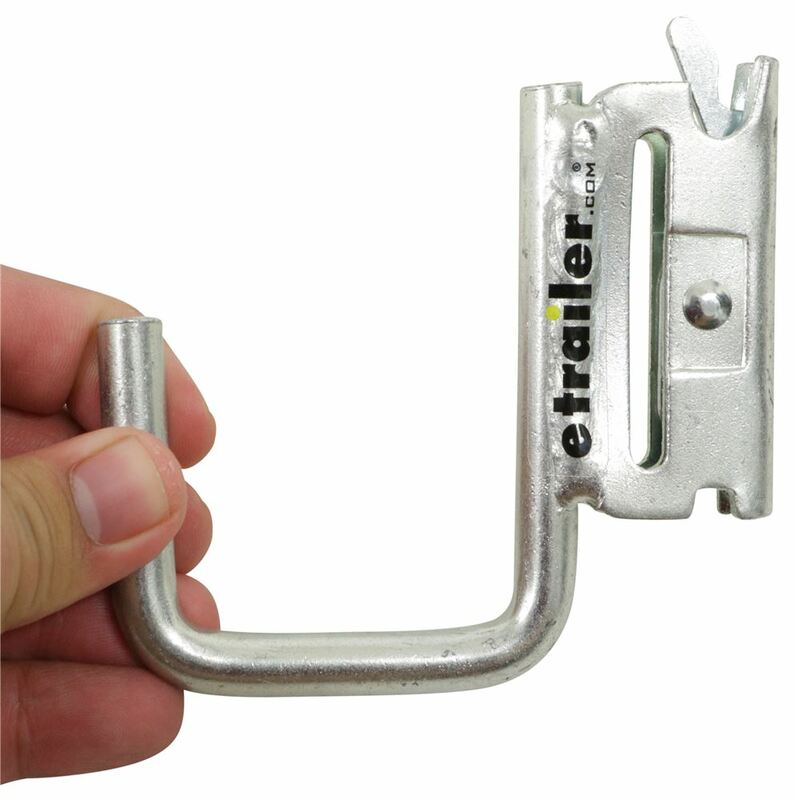 This square J-hook clips into any E-track system so you can hang accessories inside your trailer. Galvanized zinc coat resists corrosion and looks nice. Square design is great for hanging boards. 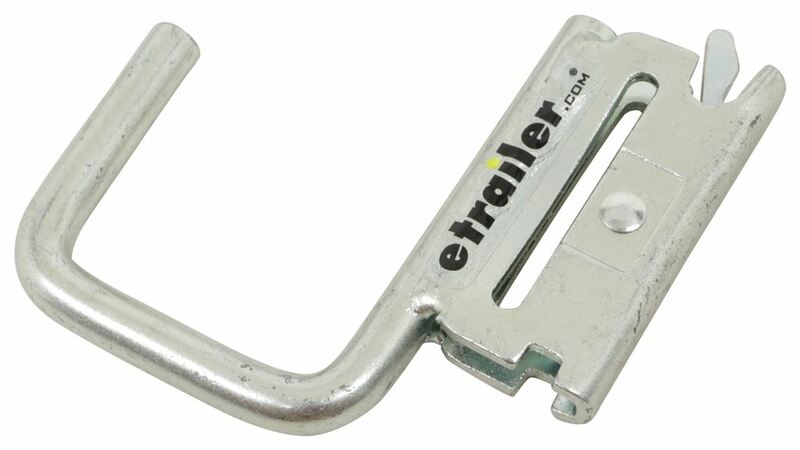 Call 800-298-8924 to order Brophy e track part number ETJS or order online at etrailer.com. Free expert support on all Brophy products. 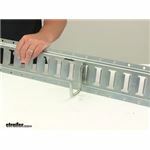 Guaranteed Lowest Price and Fastest Shipping for Brophy J-Hook for E-Track - Square - Galvanized Zinc Coat. E Track reviews from real customers. 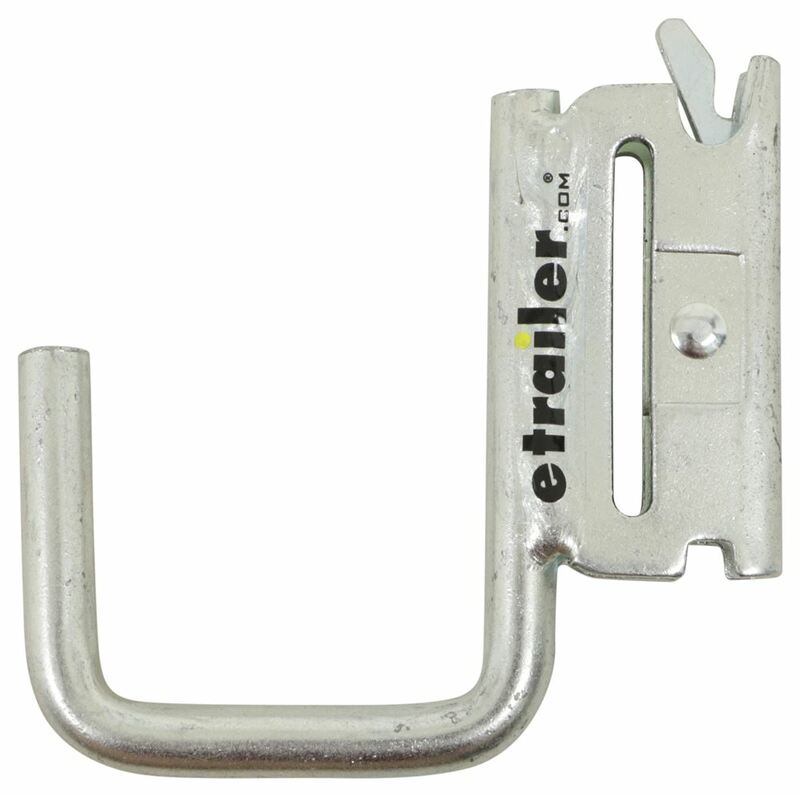 This square J-hook clips into any E-track system so you can hang accessories inside your trailer. Galvanized zinc coat resists corrosion and looks nice. 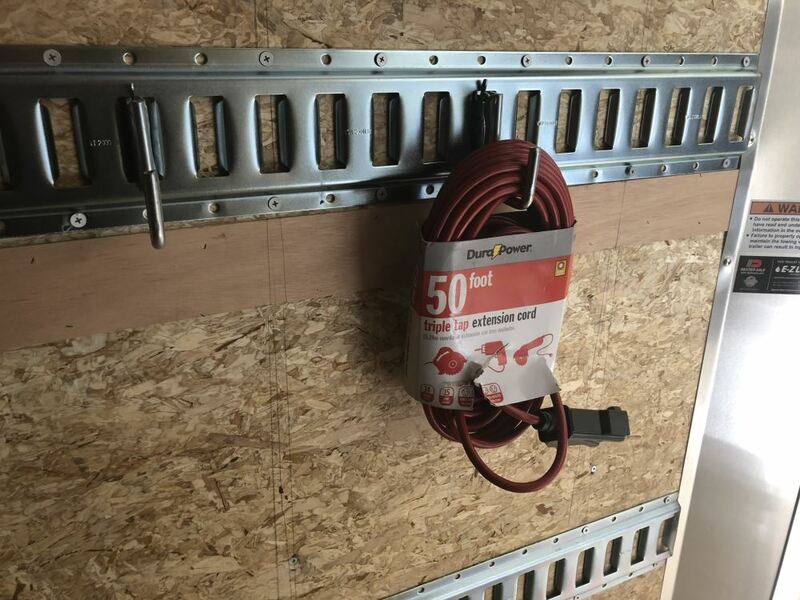 Square design is great for hanging boards. 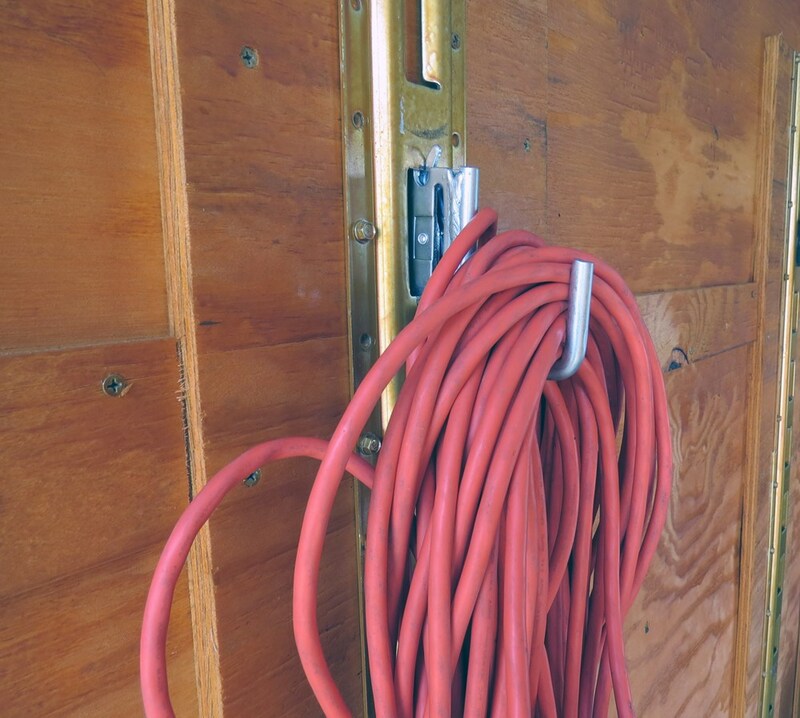 Speaker 1: Today, we're taking a look at the Brophy J Hook for E-Track Systems.This square J hook mounts to your E-Track System, so you can hang accessories inside your trailer. 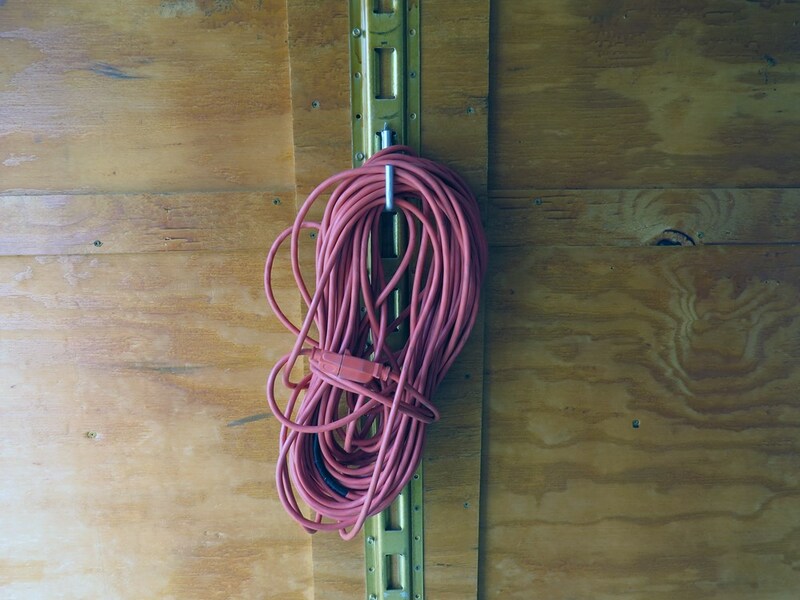 The square shape of this unit is perfect for hanging boards, ropes, cords, and other gear. 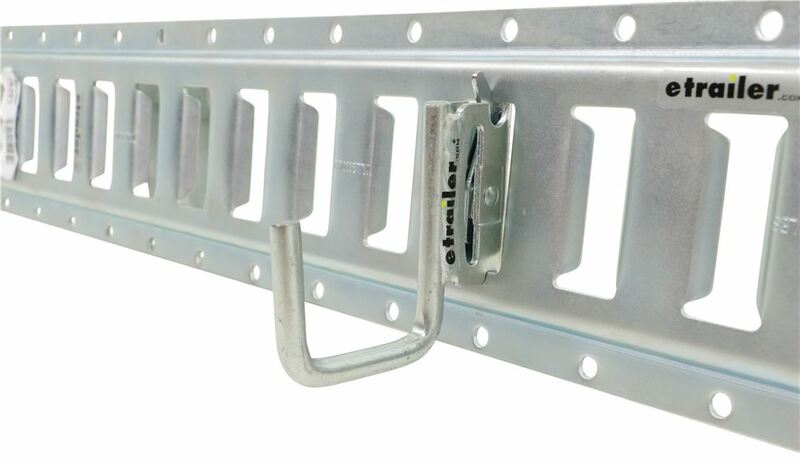 It does feature the spring-loaded clip, so that hooks securely into the E-Track System for easy installation, snaps into place.I also wanna point out that on the back side of the unit, right here, this is a two-inch long cutout, that allows you to add a strap, so, that way, you can add more security to your load, or your cargo, or whatever it is that you're securing, so that's a nice design. The strap is not included. 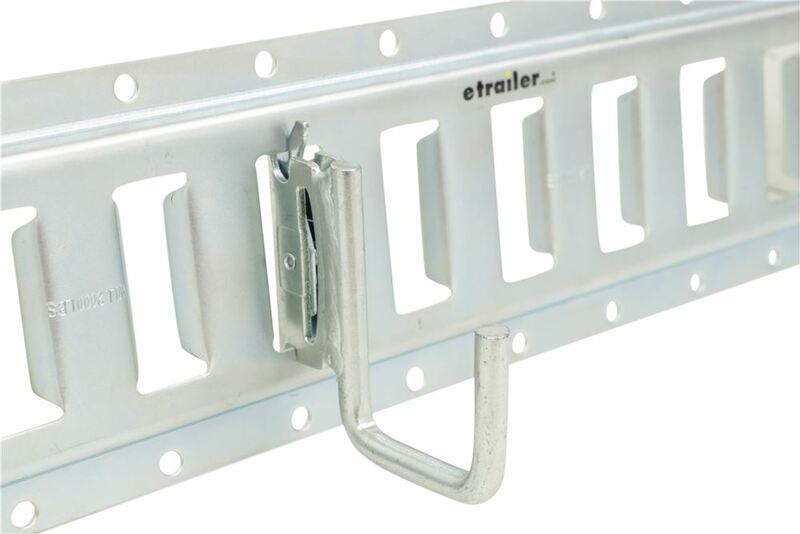 They're sold separately, they're available at etrailer.com and that's just an additional feature.A strap is not required, but that's just a neat feature that they build into the unit in case you would like to add a strap for more security. 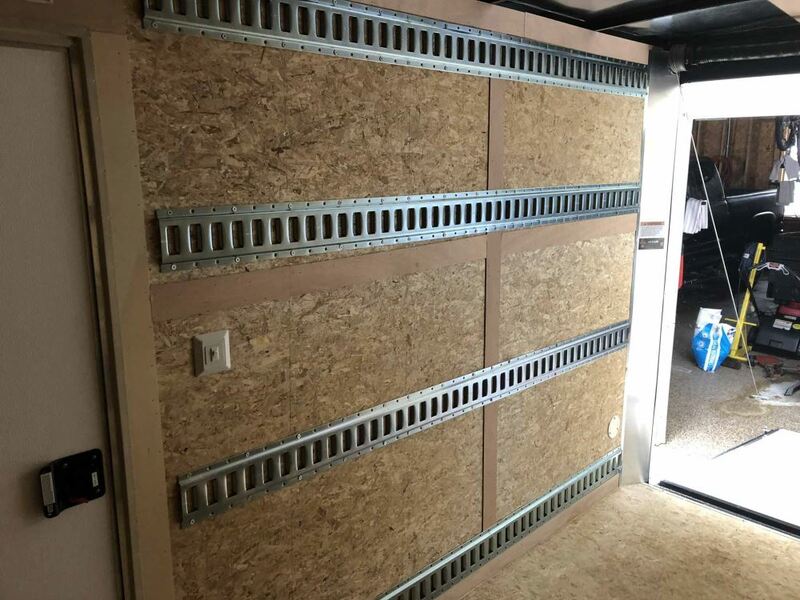 This unit is made from steel, so it's very strong and durable and it features a really nice, galvanized zinc coating that's designed to resist rust and corrosion. A few measurements to go over width real quick starting with the inner width, that's gonna give us a usable space, side-to-side of two inches. The depth from the hook to this portion, right here, is about one and seven-eighths of an inch deep.The diameter of the steel is actually three-eighths of an inch. It's a nice durable design, that's gonna do it for today's look at the Brophy J Hook for E-Track Systems. 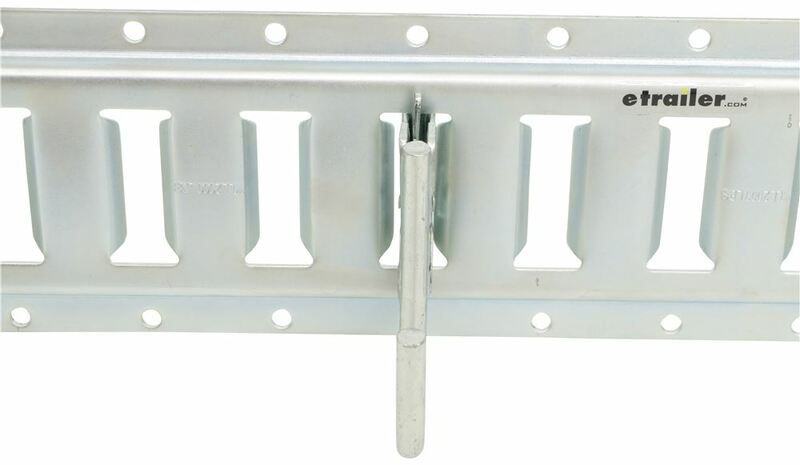 Order: RelevanceNewestRating - High to LowRating - Low to High This square J-hook clips into any E-track system so you can hang accessories inside your trailer. Galvanized zinc coat resists corrosion and looks nice. 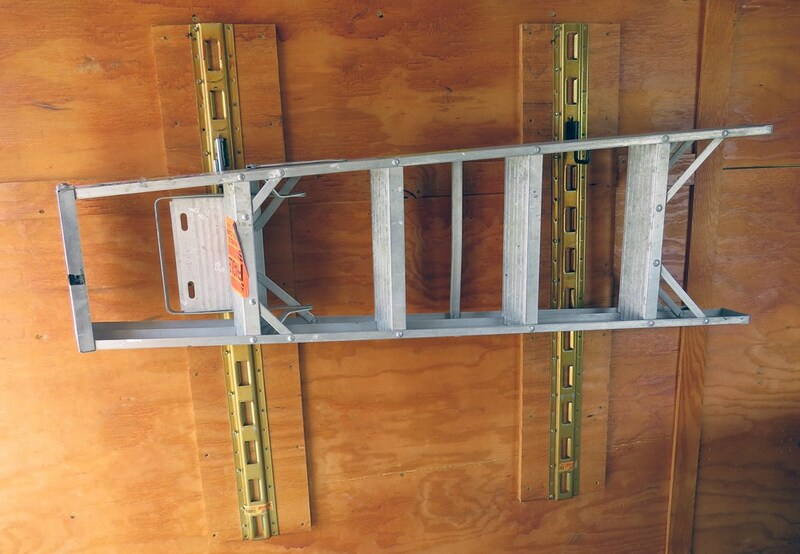 Square design is great for hanging boards. 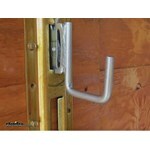 The Brophy J-Hooks that we have available are parts # ETJR and # ETJS. Part # ETJR has an inner width of 4-1/4" with a 1/2" hook diameter while the part # ETJS has an inner width of 2" with a 3/8" hook diameter. Review videos have been attached for you to check out. 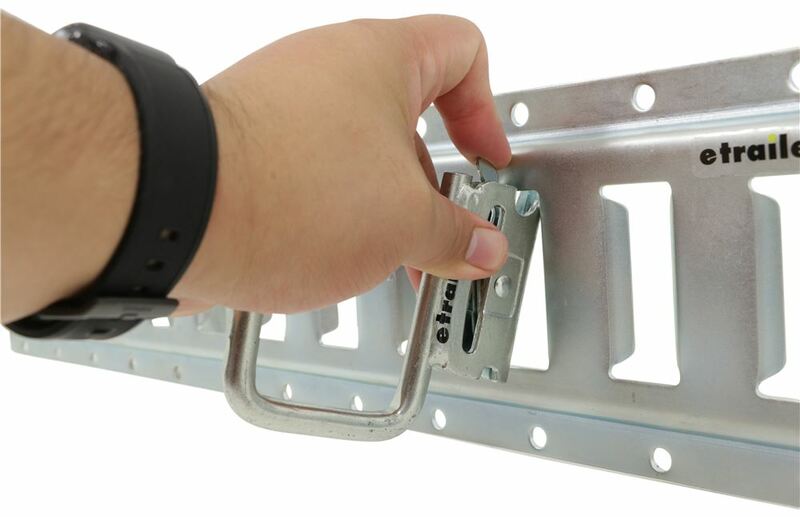 The opening on E-Track is 2.45 inches long by 0.58 inches wide. 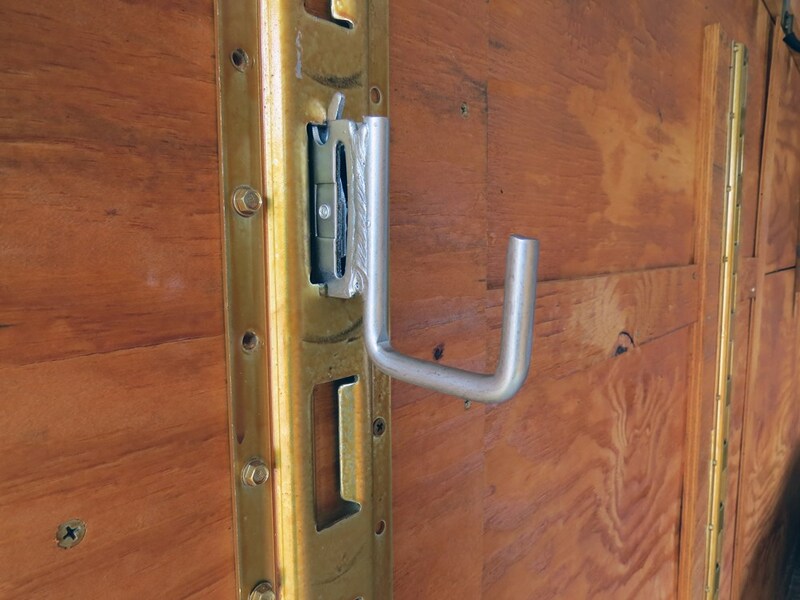 The Brophy J-Hook # ETJS fits a slot with those dimensions and it sounds like your openings are essentially the same size. 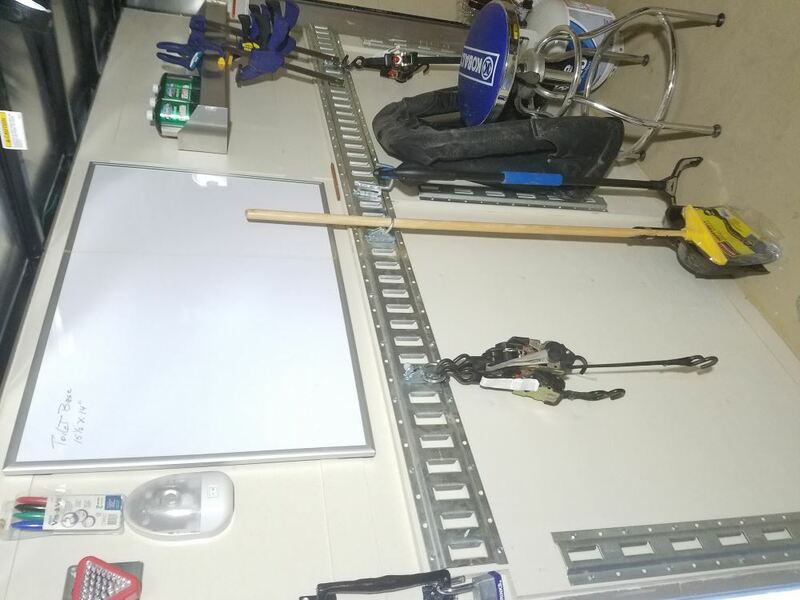 Our measurements were taken with digital calipers so if you are using a ruler or tape measurer it would be slightly less exact which would account for the very slight differences between your measurements and our measurements. In other words it will fit!